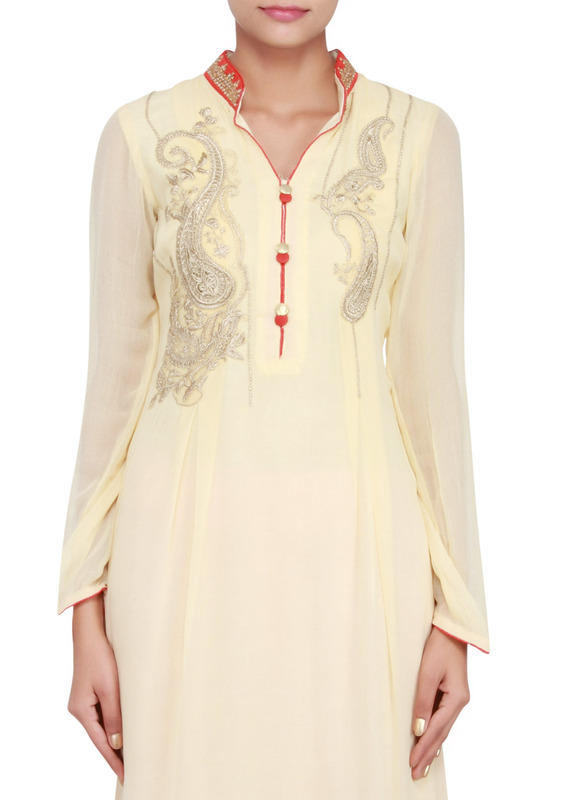 Featuring a cream georgette straight cut suit embellished in zari and stone on bodice. Full sleeves with red piping. 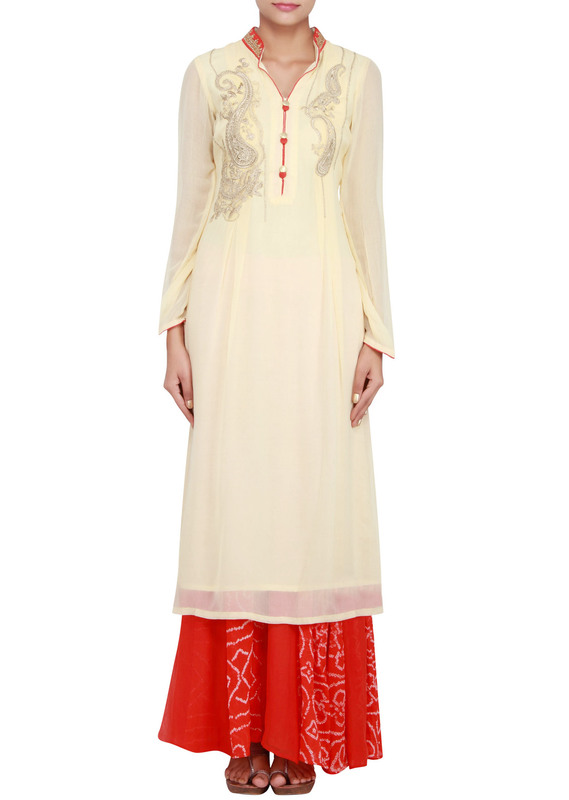 Open neckline with embellished chinese collar in red raw silk. Placket detail with buttons aand red piping. 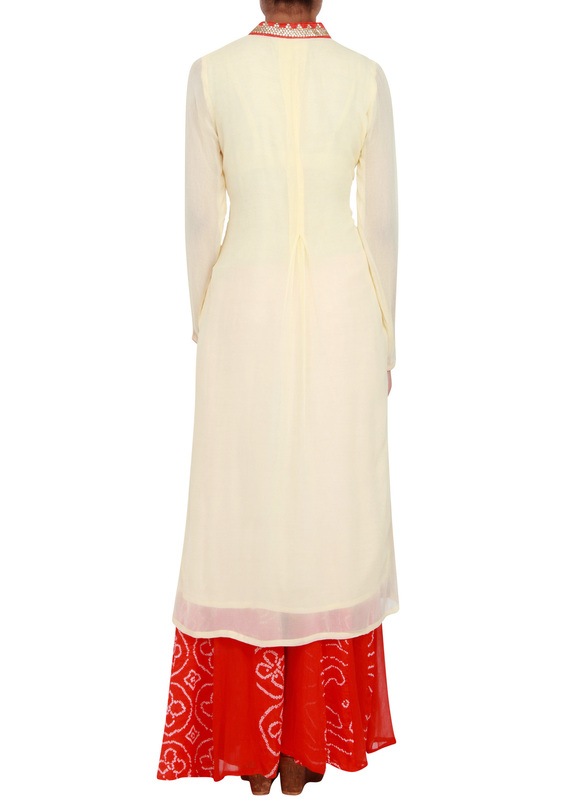 It comes with red georgette palazzo pants in bandhani print.